the original legislative assembly of England, Scotland, or Ireland and successively of Great Britain and the United Kingdom; legislatures in some countries that were once British colonies are also known as parliaments. The British Parliament, often referred to as the “Mother of Parliaments,? consists of the sovereign, the House of Lords, and the House of Commons. Originally meaning a talk, the word was used in the 13th century to describe after-dinner discussions between monks in their cloisters. In 1239 the English Benedictine monk Matthew Paris of the Abbey of St. Albans applied the term to a council meeting between prelates, earls, and barons, and it was also used in 1245 to refer to the meeting called by Pope Innocent IV in Lyon, France, which resulted in the excommunication and deposition of the Holy Roman Emperor, Frederick II. Modern parliaments trace their history to the 13th century, when the sheriffs of English counties sent knights to the king to provide advice on financial matters. Kings, however, generally desired the knights' assent to new taxation, not their advice. Later in the 13th century, King Edward I (1272–1307) called joint meetings of two governmental institutions: the Magnum Concilium, or Great Council, comprising lay and ecclesiastical magnates, and the Curia Regis, or King's Court, a much smaller body of semiprofessional advisers. At those meetings of the Curia Regis that came to be called concilium regis in parliamento (“the king's council in parliament? ), judicial problems might be settled that had proved beyond the scope of the ordinary law courts dating from the 12th century. The members of the Curia Regis were preeminent and often remained to complete business after the magnates had been sent home; the proceedings of Parliament were not formally ended until they had accomplished their tasks. To about one in seven of these meetings Edward, following precedents from his father's time, summoned knights from the shires and burgesses from the towns to appear with the magnates. The parliament called in 1295, known as the Model Parliament and widely regarded as the first representative parliament, included the lower clergy for the first time as well as two knights from each county, two burgesses from each borough, and two citizens from each city. Early in the 14th century the practice developed of conducting debates between the lords spiritual and temporal in one chamber, or “house,? and between the knights and burgesses in another. Strictly speaking, there were, and still are, three houses: the king and his council, the lords spiritual and temporal, and the commons. But in the 15th century the kings of the House of Lancaster were usually forced to take all their councillors from among the lords, and later under the House of Tudor, it became the practice to find seats in the commons for privy councillors who were not lords. Meanwhile, the greater cohesion of the Privy Council achieved in the 14th century separated it in practice from Parliament, and the decline of Parliament's judicial function led to an increase in its legislative activity, originating now not only from royal initiative but by petitions, or “bills,? framed by groups within Parliament itself. Bills, if assented to by the king, became acts of Parliament; eventually, under King Henry VI (reigned 1422–61; 1470–71), the assent of both the House of Lords—a body now based largely on heredity—and the House of Commons was also required. Under the Tudors, though it was still possible to make law by royal proclamation, the monarchs rarely resorted to such an unpopular measure, and all major political changes were effected by acts of Parliament. In 1430 Parliament divided electoral constituencies to the House of Commons into counties and boroughs. Males who owned freehold property worth at least 40 shillings could vote in these elections. Members of the House of Commons were wealthy, as they were not paid and were required to have an annual income of at least £600 for county seats and £300 for borough seats. In most boroughs, very few individuals could vote, and some members were elected by less than a dozen electors. These rotten boroughs were eventually eliminated by the Reform Bill of 1832. As parliamentary sessions became more regular from the 15th to 17th centuries (legislation in 1694 eventually required that Parliament meet at least once every three years), a class of professional parliamentarians developed, some of whom were used by the king to secure assent to his measures; others would sometimes disagree with his measures and encourage the Commons to reject them, though the firm idea of an organized “opposition? did not develop until much later. In the 17th century Parliament became a revolutionary body and the centre of resistance to the king during the English Civil Wars (1642–51). 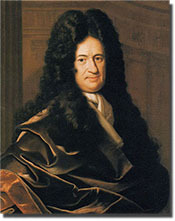 The Restoration period (1660–88) saw the development of the Whig and Tory factions, ancestors of the later political parties. The modern parliamentary system, as well as the principle of parliamentary sovereignty, quickly developed after the Revolution of 1688 (the Glorious Revolution). William III (1689–1702) selected his ministers from among the political parties in Parliament, though they were not subject to control by either house. While the convention that governments would automatically resign if they lost election had not yet developed, monarchs began to adjust the composition of the Privy Council according to that of Parliament. Later, cabinet officials were appointed from among the party commanding a majority in the House of Commons. By the late 17th century, the power of the monarch had declined, and the relationship between the Lords and Commons had shifted in favour of the Commons. When the Whig majority in the House of Lords threatened to reject the Treaty of Utrecht with France in 1712, the government created enough Tory peerages in that house to guarantee support for its policy, a precedent that firmly established the superiority of the House of Commons. King George I (reigned 1714–27) largely withdrew from an active role in governance, and in 1721 Robert Walpole, leader of the Whigs, the House of Commons, and the cabinet, was appointed the first unofficial prime minister and became the real head of government. Unlike previous leading ministers, he did not accept elevation to the House of Lords, instead remaining a member of the House of Commons. The principle that the government was subject to the House of Commons was reinforced in 1782, when the government of Lord North resigned because the Commons did not support his policies. "whereas it is intended to substitute for the House of Lords as it at present exists a Second Chamber constituted on a popular instead of hereditary basis, but such substitution cannot be immediately brought into operation." Although the House of Lords was not replaced with an elected chamber, the Parliament acts significantly diminished its power, and future governments threatened the Lords with extinction if they opposed important government legislation. The Lords' power was further reduced in 1945, when an overwhelming Labour Party majority in the House of Commons faced a large and recalcitrant Conservative majority in the House of Lords. By the Salisbury convention of that year, the Lords were forbidden from rejecting any bill passed by the Commons that fulfilled a promise in a party's election manifesto. Notably, the manifesto adopted by the Labour Party for elections in 1983, which the party lost, promised abolition of the House of Lords. In the 1990s the hereditary privilege was severely diminished when, in a prelude to wider reform, the Labour government of Tony Blair eliminated the right of all but 92 hereditary peers to sit and vote in the Lords. Each session of Parliament is opened with a speech by the monarch from the throne in the House of Lords in the presence of members of the House of Commons. The speech, written by the government and handed to the sovereign by the lord chancellor, contains a list of proposals that the government intends to introduce in the upcoming parliamentary session.